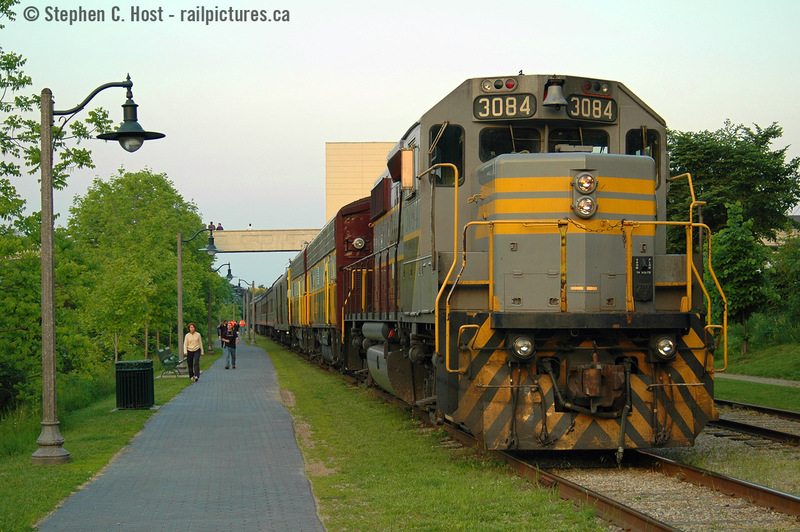 Railpictures.ca - Stephen C. Host Photo: This one’s for the youngins, especially Jacob Patterson and other Guelph fans. Keeping with the classic CP liveries that many are posting this weekend (Post yours, please!) here we have A rare mileage charter, which ran to and from Hamilton, then to Guelph for an overnight stay this day. This train went all over many of the Branchlines on CP in Ontario and throughout Canada and you know what, people didn’t chase it all over either, we were picky. We had this, we had 2816 Steam coming in a week, it was just non stop and I was only 3 months into having a real Digital SLR camera. I really had no idea what I was doing, photographically, but I knew something – BE THERE. I was, thankfully. | Railpictures.ca – Canadian Railway Photography – photographie ferroviaire Canadienne. Caption: This one's for the youngins, especially Jacob Patterson and other Guelph fans. Keeping with the classic CP liveries that many are posting this weekend (Post yours, please!) here we have A rare mileage charter, which ran to and from Hamilton, then to Guelph for an overnight stay this day. This train went all over many of the Branchlines on CP in Ontario and throughout Canada and you know what, people didn't chase it all over either, we were picky. We had this, we had 2816 Steam coming in a week, it was just non stop and I was only 3 months into having a real Digital SLR camera. I really had no idea what I was doing, photographically, but I knew something - BE THERE. I was, thankfully.